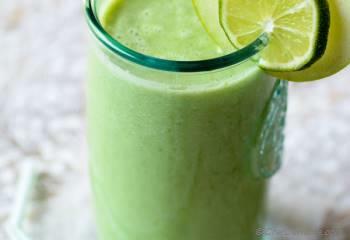 Today, I have decided to keep Wednesday, lite and fit with this delicious, healthy, yet creamy green smoothie! Trust me! 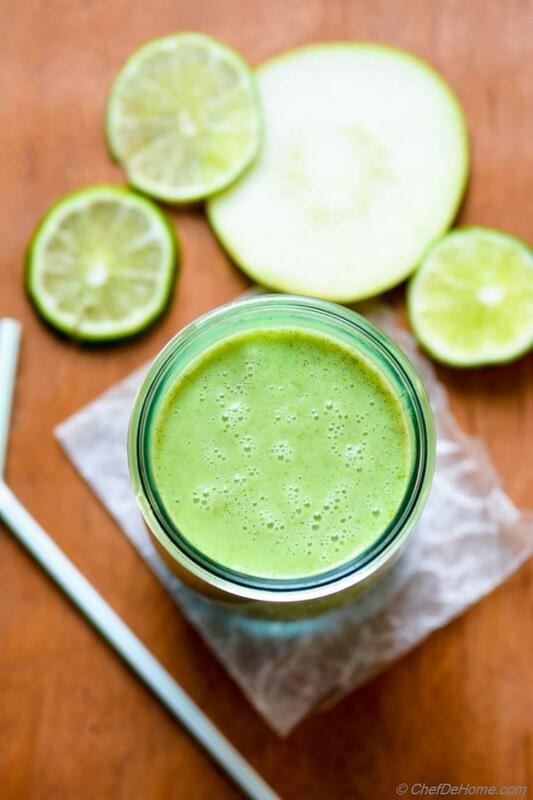 This 5-ingredient smoothie will make you crave, you read it right, CRAVE smoothies for rest of the season! It is that delicious! 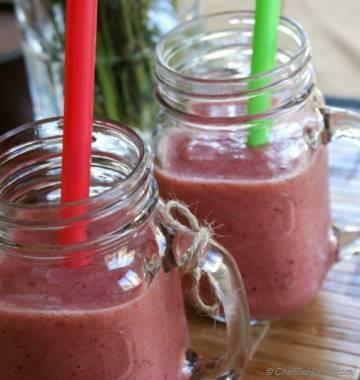 have you ever heard words "delicious" and "scrumptious" for smoothies? no, right? then include all those yumm words in your dictionary for this gluten free, vegan glass of heaven! 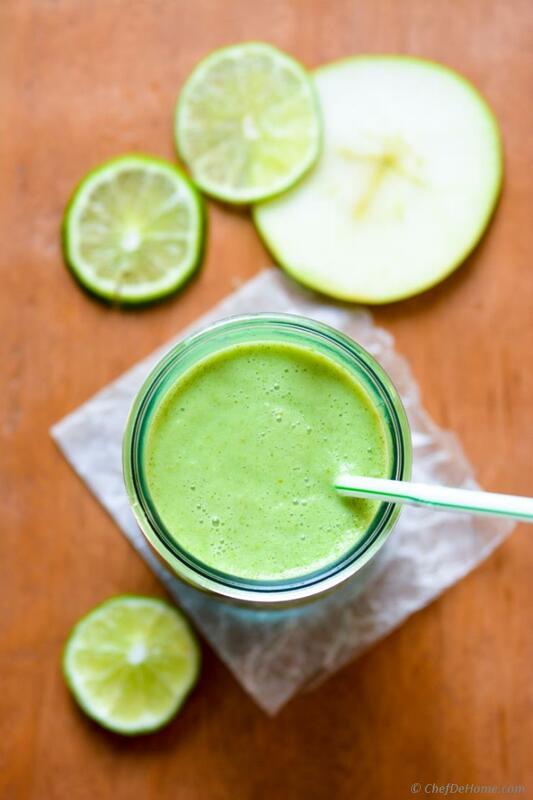 Also, the cooling green color of this smoothie is so so perfect for St. Partick's Day - lite and fit, clean and green, breakfast or lunch!! I'm sure your kids will love it.... I mean, look at the color... isn't it refreshing green?? I made this last Friday, and looking again at the pictures today, I wanna make it again! This smoothie is vegan, gluten free, has one serving of fruit, about one serving of veggie and goodness of coconut milk. Don't like coconut milk? - No problems! You can make this smoothie with buttermilk also! Just it will not be vegan if you will use dairy! Don't like Mint? - well... mint is heart and soul of this smoothie. so please don't skip mint. 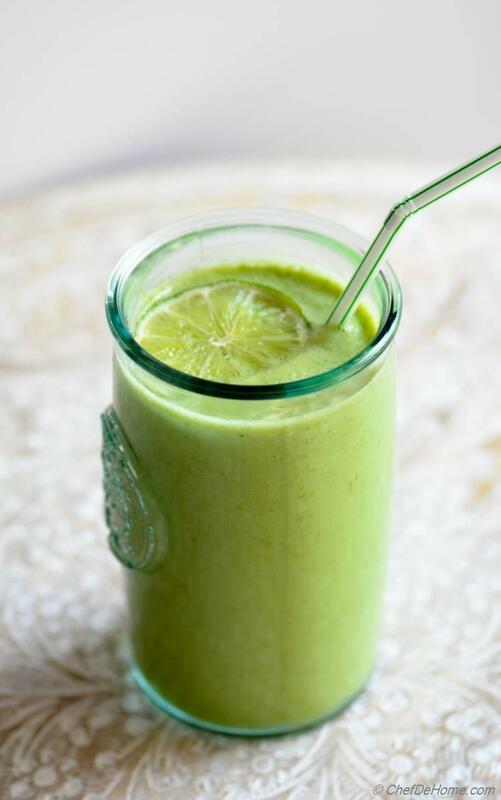 In-fact, if you like mint then I have one more Green Smoothie recipe for you!! I hope you enjoyed looking at the pictures as much as I have! until tomorrow.... eat healthy and go green my friends! one drink at a time! 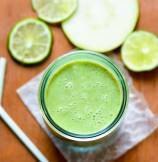 Looking for more green smoothies? Smart Swap You can also use yogurt(not vegan) instead of coconut milk. 1. Give big dice to apple, and remove seeds. 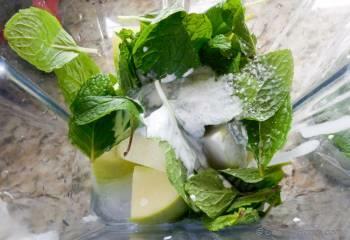 In a blender jar, add apple, mint, salt, honey, coconut milk, and half cup of water. 2. Blend until smooth and creamy! Serve and enjoy! Amity, per my research, after it is filtered, honey is totally fit for vegan diet. However, if you don't consider honey vegan, replace it with Agave Syrup or sugar or natural sugar-free sweeteners like Stevea. Olivia, thanks! 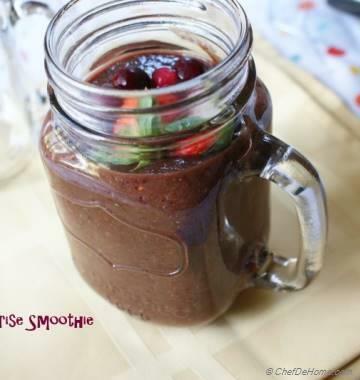 I'm sure you will love taste of this smoothie! Awesome, quite an interesting combination of ingredients.. I need to try this, sounds very refreshing! 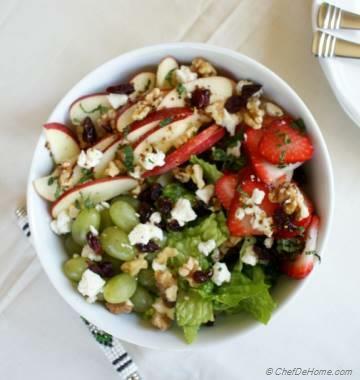 Love your healthy recipe for St. Patrick's Day! Shubha, smoothies make a big part our daily routine too! Love that you like it! Anupama, thanks! It is indeed a delicious smoothie!